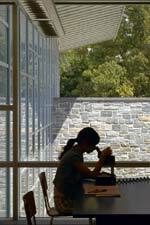 Swarthmore, PA: A "green" science center becomes an intellectual and social magnet for an entire campus. Responding to an urgent need to update and expand its science teaching facilities, Swarthmore College sought to create a contemporary environment to express the College’s commitment to progressive education and intellectual inquiry while respecting their rich architectural heritage of sober, stone campus buildings integrated into an extraordinary landscape setting. 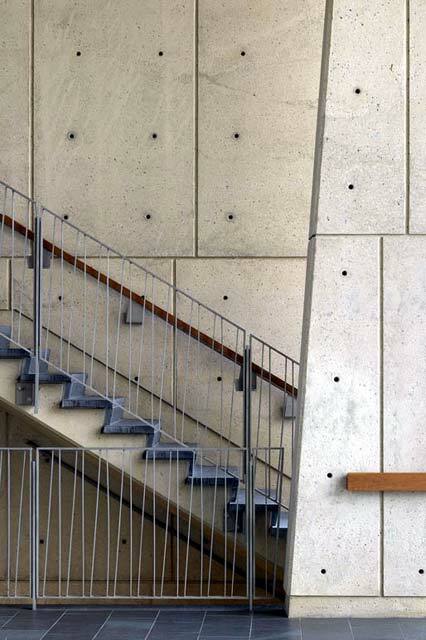 “Architecture is vitally important in expressing this tradition as well as inspiring imagination and creativity,” says its president, Alfred Bloom. 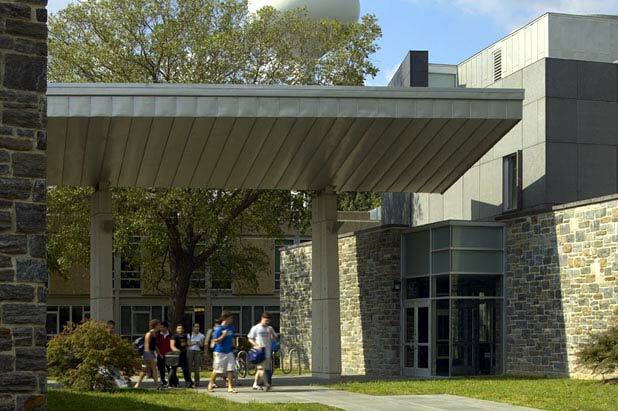 The College’s outdated science facilities needed more than a renovation and additional space; the departments required new technology and a multi-disciplinary teaching environment. The Boston office of Einhorn Yaffee Prescott and New York City-based Helfand Architecture have created a true unified science center, transforming isolated departments into a social and intellectual gathering place for the entire campus. 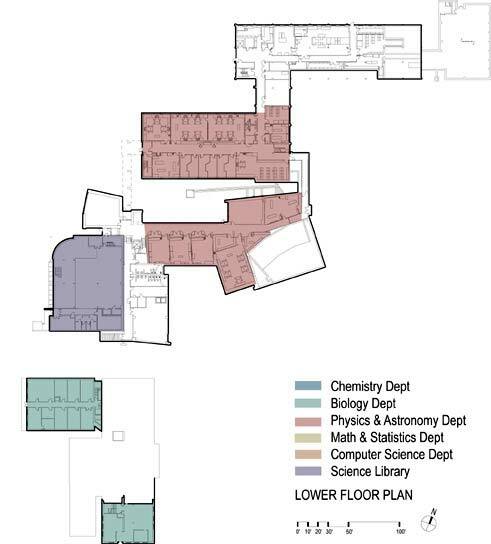 The individual science buildings and library are now interconnected through a series of laboratory blocks, lecture halls, study areas, and courtyards. 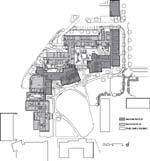 Located at the center of the complex is a commons with inviting transparent walls and “butterfly”-shaped roof. 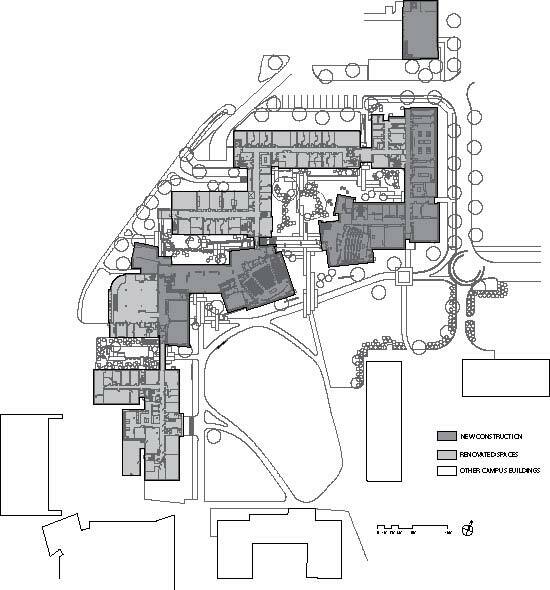 The $48.2 million center, which includes 60,000 square feet of renovated space and 80,000 square feet of new building, is placed at the north end of the campus to form the fourth edge of the academic quadrangle. 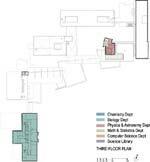 The new forms wrap around the existing buildings to link the existing individual science buildings and library. 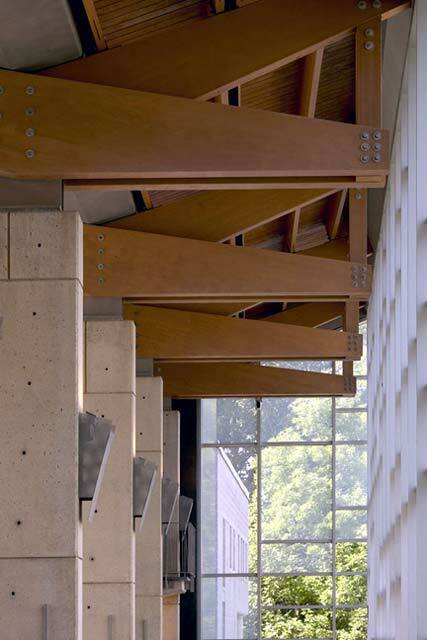 A series of interconnected gardens between the existing and new masses provide views, light, and air into all parts of the building, and lead out to the wooded preserve north and west of the site. 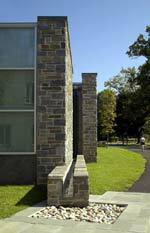 The new complex creates a dialogue with Kohlberg Hall, a humanities building at the south side of the quadrangle designed by Helfand Architecture in 1996, and completes the north campus quad envisaged in the master plan completed by Helfand Architecture and Ehrenkrantz Eckstut and Kuhn in 1994. 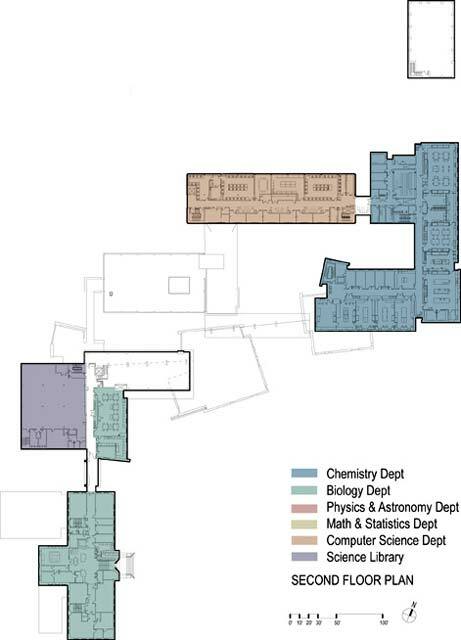 To respect the scale of the campus, the new unified science center is broken down into separate masses linked with a series of special connector elements. The heights are kept low at two and three stories, with a sunken garden that spills out into the woods allowing views over the new building to the woods. 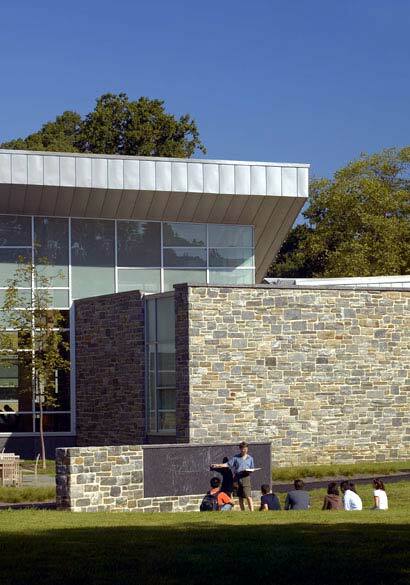 Local schist stone laid in an ashlar pattern ties the building into the fabric of the campus, while modern forms and detailing are employed throughout the new building. The connector elements share details to link together the large building while breaking down the scale: hovering butterfly-shaped roofs supported on a single line of columns; standing seam metal cladding; and concrete pylons. 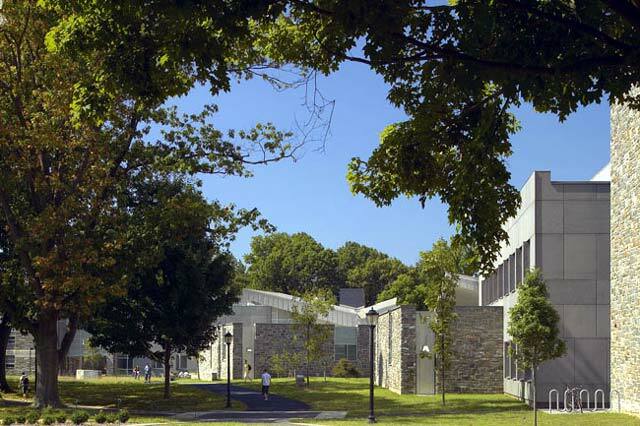 Two larger lecture halls, clad in local schist stone and rotated at 12 and 18 degrees, reinforce the turning at the corner of the quad and contrast with the rectilinear lab buildings that are sheathed in abstract patterns of honed granite façade panels. The largest connector element uses the corner to connect the west and north sides of the quad. 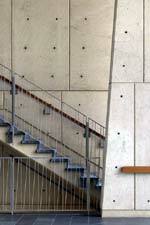 This hinge element acts as a primary entrance and provides a student commons with a coffee bar. A V-shaped roof flies over the seating area, held up by wood beams balancing on trapezoidal concrete pylons. 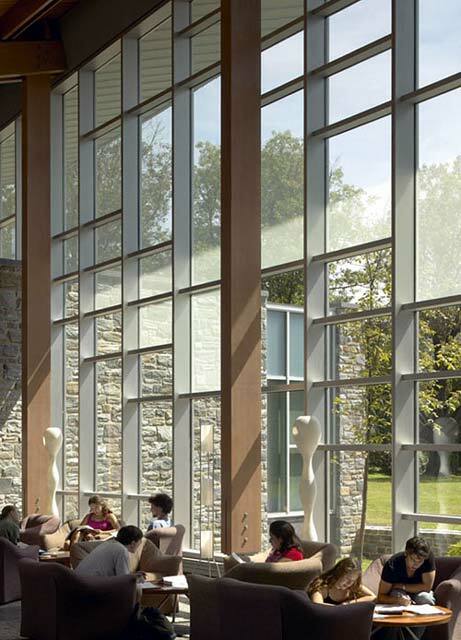 Glass curtainwalls open up south to the quad and north to the woods and allow views through the commons. At night, the light spills out onto the campus, acting as a marker and beacon. 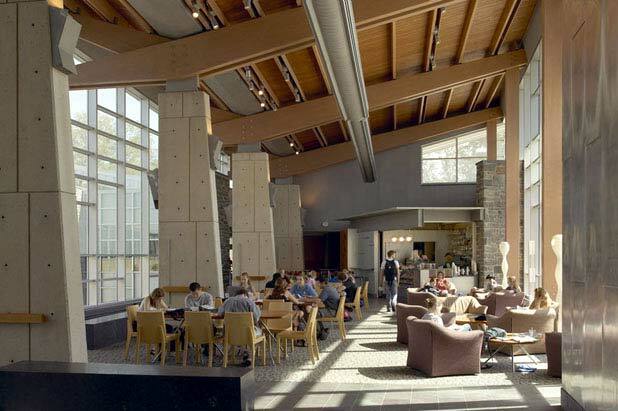 Warm, natural materials suffuse the space: exposed wood beams and wood decking on the ceiling, slate flooring, and smooth concrete pillars. Sustainability was a driving factor from conceptual design through implementation. 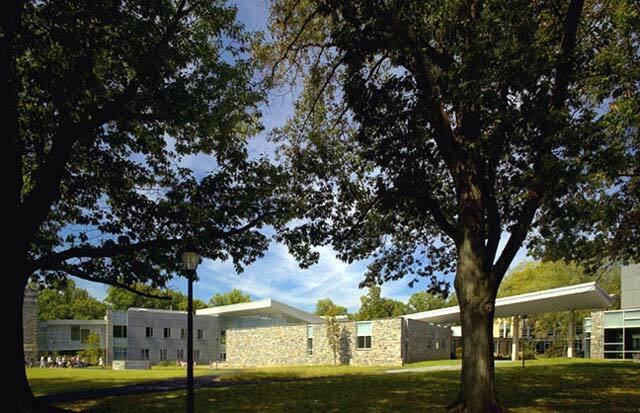 Consistent with Swarthmore’s commitment to teaching social responsibility, the College encouraged the design team to make sustainability the muse of the design – and visible. 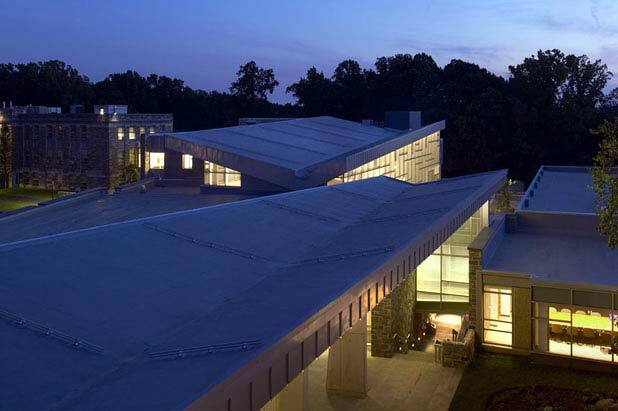 A Green Team was formed to guide the creation and implementation of a green master plan, resulting in an expected Silver LEED certification (application pending), one of the first lab buildings to qualify at this level. The green strategy includes many features such as a zero runoff environment to protect the adjacent woods from erosion by harvesting rainwater in the huge, iconic V-shaped roofs, directing water back into the earth through waterfalls, stone water channels, re-absorption pools, and infiltration beds with excess stored underground for irrigation. 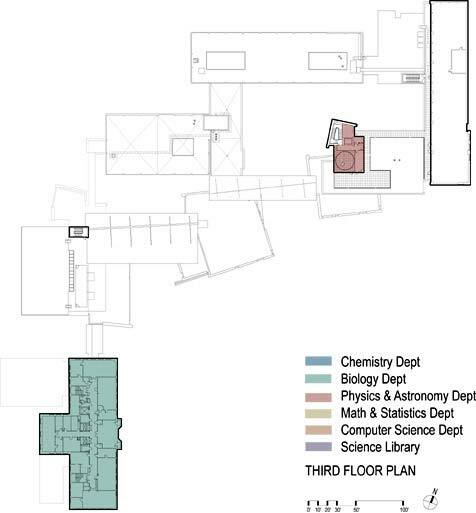 In another green strategy, rather than demolish and replace the outdated wet lab buildings, the design incorporates them in the new complex, re-using the space for “dry” labs for physics and astronomy, math and statistics, and computer science. Local and recycled materials are featured throughout the building, and gauges illustrating current utilization of energy and other utilities are a focal point in the snack bar area. 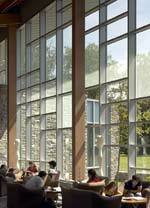 The science center also pioneers the use of fritted glass for curtainwall glazing to prevent bird collision – an important innovation that has received recent worldwide media coverage as a model for sustainable design, including the new sustainable design guidelines for the World Trade Center site in Lower Manhattan. Learning spaces include departmental “living rooms” where students and faculty can gather in a lounge setting for informal discussions or group study, alcoves within the corridors with lounge seating for interdisciplinary interaction, and study nooks adjacent to circulation for individual or group study at tables. 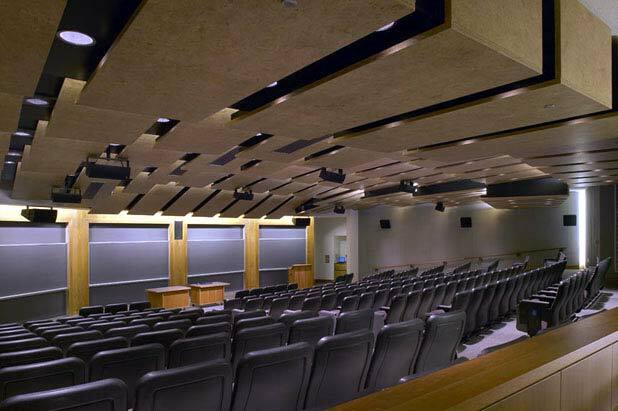 All lounge spaces are fitted with adjacent floor to ceiling blackboards for “chalk talks”. 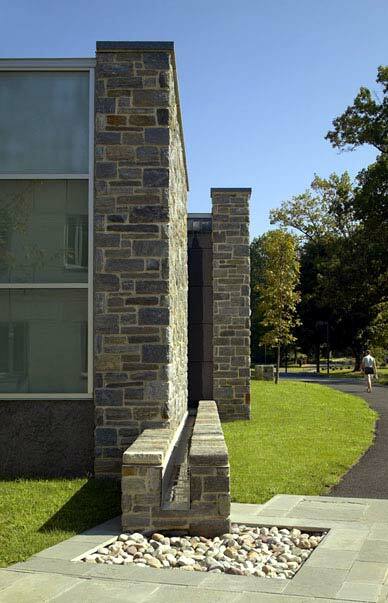 Among the most unusual features, however, are the outdoor teaching spaces scattered around the perimeter of the building where honed black granite walls provide “blackboards” so that science classes can be conducted with a traditional teaching wall, allowing for the cultural tradition so closely identified with Swarthmore’s humanities departments where outdoor classes and seminars have been taught for decades. The new science center has become a magnet that fosters intellectual and social interaction among faculty, science students, and the larger college community. “New Swarthmore buildings marry tradition and modernity” by Inga Saffron, Philadelphia Inquirer, March 11, 2005. 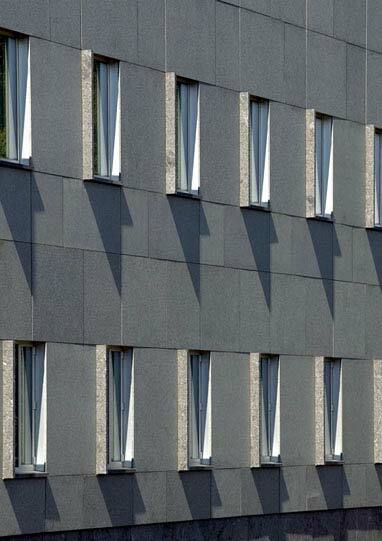 Helfand Architecture, established in 1981, has gained recognition for its sustainable design solutions for projects ranging from institutional to high-end commercial and residential. 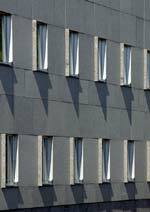 Many involve integrating new uses for old buildings within an existing context. 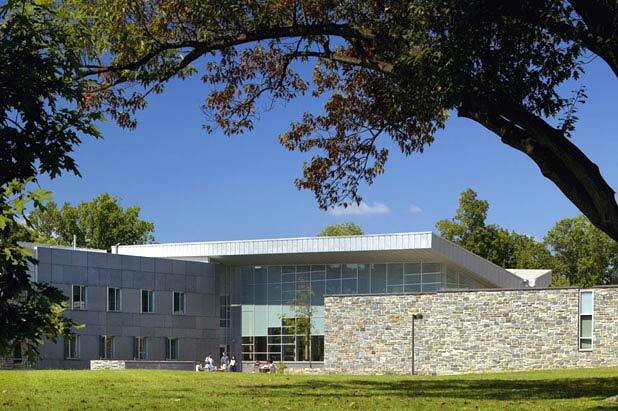 Recent and current design projects include: Automated Trading Desk Headquarters, Charleston, SC; Kohlberg and Trotter Halls at Swarthmore College; and a number of library projects for New York City. 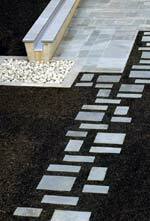 A/E firms in the nation by Building Design & Construction. 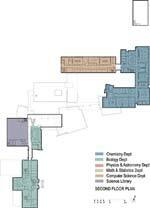 Plumbing Engineer: Robert W. Sullivan, Inc.
Acoustical: Cavanaugh Tocci Associates, Inc. 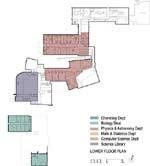 Cost Estimator: Nasco Construction Services, Inc. Photography: Jeff Goldberg / Esto Photographics Inc.